Things You Make Yourself Do. I often see Billboards promoting prostate cancer awareness. They proclaim in no-uncertain terms that thousands of men will die this year because of stubbornness. The Truth Is: Stubbornness, Excuse-Making and Fear Paralyze Many Of Us. Many Times We Have To Make Ourselves Do What Needs To Be Done. I have successfully avoided thinking about that word for most of my seventy years. I am not saying that I wasn’t packing on some pounds. I am admitting that I just hated the thought of going on a diet. For years I’ve told myself that I didn’t have much control over what I ate, but that I could watch my portions. Let me tell you, the portion-watching concept doesn’t work well if the food is really good. Then, January 2014 hit me like a cattle prod. I couldn’t button my size 48-suit coat. I was running out of air when I preached. I enjoyed putting my own socks on and wanted to continue doing that. With the help of my close friend, Brother Kenneth Bow, I went on a 500 calorie a day diet. I downloaded apps to monitor every thing I ate, drank and drooled over. I lost forty-five pounds and can now breathe normally again. I realized it wasn’t that hard after I made myself get started. I Just Had To Make Myself Do It. My Daughter Keeps A Healthy Distance From The Woods And Wooly Creatures. My daughter Marisa was raised in a world of four brothers and no sisters. She can hold her own with the best of them. Those that know her are aware of her desire to avoid all animals with fur. It’s not just a dislike; it’s an emotion that is almost over whelming for her. It has been known to create a moment of sheer panic in her when a raccoon, opossum or mouse is too close for comfort. We Make Ourselves Do Some Things To Over Come Our Personal Fears. We make ourselves do things because they need to be done and there is no one else to do them. We make ourselves get up when we don’t feel well and go to work anyway. We Do Other Things Because God Asks Us To. To break up our fallow ground. To take up the cross. To humble our self in the sight of God. To love not he world. To forgive 70×7 in one day. To love our neighbor as our self. Obey All Of God’s Word. Worship when we don’t feel like it. Pray when we don’t feel like it. Come to church when you don’t feel like it. Repent to family members, to others, to God when you need to. Shun the very appearance of evil. Sometimes We Just Have To Make Ourselves Be Submissive And Obedient. Some Characters In The Bible Became Our Heroes Because Of What They Made Themselves Do. By faith, built an Ark while the world mocked. By faith got in an ark he could not steer. Faced a lion and a bear when he was just a lad. Face Goliath the giant when he was about seventeen. Sitting in Jail, chained, beaten and bloodied, they made themselves pray and sing at midnight. They were faced with the threat of public death. They were commanded to bow and worship a heathen king. They made themselves stand firm to their convictions. She made herself put the man of God first even when she and her son were facing death by starvation. She had tried every doctor she could to no avail until she finally ran out of money. She was nearly too weak to walk, but when Jesus came by, she made herself crawl through the crowd so that she could touch the hem of his garment. He was told to shut up by those around him and keep quiet after he cried out for mercy. He made himself cry out all the louder. What Are You Willing To Make Yourself Do To Get Your Miracle? Peter was preaching to a large crowd on the Day of Pentecost. Conviction gripped the hearts of his hearers. They made themselves ask him point-blank while he was preaching what they needed to do to be saved. Without missing a beat, Peter told them. The requirements he gave that day to be saved are still in effect today. Not Everyone Made Themselves Respond. What Are You Willing To Make Yourself Do To Be Saved? Did They Have Facial Hair In Bible Days? Yes. Look at the sculptures of Roman times. Look again at the statues of the Caesars. They depict Gentile men wearing short hair, and no beards. They were the style leaders of their day. They depicted the dress of their generation. Evidently the world custom at that was not beard wearing for all men, especially not Gentile men. The wearing of beards was certainly mentioned in the Bible. The case could be made that most of our heroes in the Old Testament wore facial hair. Did they have facial hair in the early days of Pentecostal outpouring in the 1900’s? Yes. Early Pentecostal pioneers such as Bro. Seymour and Bishop Haywood wore facial hair. We’ve seen the pictures. However, in early Pentecost, especially in the white churches, there was a marked absence of beards. The beards seemed to disappear. Many Hispanic and black men feel that wearing a mustache is symbolic of masculinity. So automatically the cultural thing is throw down like an non-debatable subject. Of course that debate ignores the church’s culture. During the Hippy Generation of the 50’s and 60’s, beards sprouted on those who rebelled against society. It became their symbol. Many of that culture were draft dodgers and some even moved to Canada. A spirit of rebellion and non-conformity was connected to the beard wearing. New male converts for years have shown visible evidence of their conversion, by shaving off their facial hair when they got into an Apostolic church. The Pentecostal scene was one of clean-shaven men for over 50 years. Now, after a half a century or so of no facial hair on men in mainstream Pentecost, It has started appearing again. Why? What changed in their minds and why did it change? Recently, a Pentecostal organization even passed a position paper making it acceptable in their ranks for men to wear facial hair. Was the change made to appease liberals? Was it made to make the church look more like the world? Was it done to win the world? God knows. Although It was made legally acceptable in some circles, it is still not palatable or acceptable everywhere. Today, facial hair on men is found in pulpits, in choirs, on the platform, in leadership and in the audience. My Question Is, Why The Facial Hair Comeback? What is gained in the Spirit by men wearing facial hair? How is the church strengthened by that acceptance? Do Pentecostal men wear them because it’s popular in the world? How does it further our outreach? Why did our new converts shave their beards and mustaches off when they got the Holy Ghost? 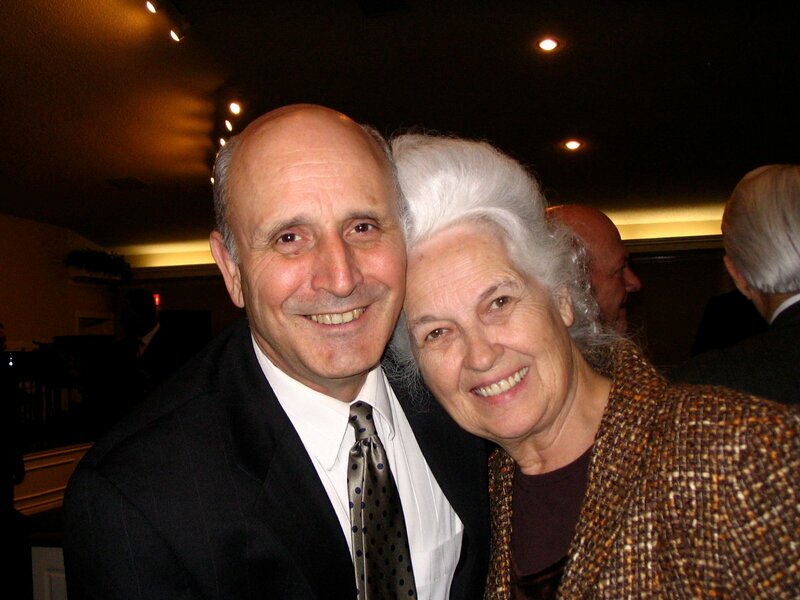 Why the long absence of facial hair in conservative Pentecostal Apostolic ranks? If it was deemed wrong then, why is it ok now? Should we apologize now to all them who shaved their beards off when they got in church, because now it’s ok if you find the ‘right’ church? If Facial Hair Today Is So Proper, Why Then Does It Cause Men Of Honor To Distance Themselves From All Those Who Permit Such? Why Then Does It Separate Good Men? There’s A Reason! What are it’s wearers trying to prove, and to whom? Doesn’t it make its wearers look more like what they used to be? How Does This Help Identify Us As Apostolic? Are you going Charismatic? No. Are you in rebellion to holiness standards? No. Are you wearing it because you think it makes you look cool? No. If you are not wearing it out of compromise, rebellion, or from a backslidden state, and you are wearing it just because you think it looks good on you, then would you say it is pride issue with you? Does Your Facial Hair Tell Others That You Have A Flaming Pride Issue? If you don’t think pride is involved in wearing of facial hair, just try to preach it off of those who have it. Every wearer I’ve met is fiercely defensive. What do they hope to gain? Is this in anyway related to the same spirit of rebellion of the Hippies? In some twisted way does the wearer feel it makes them more like Jesus? How? Isn’t pride part of it? What Other Area Of Their Live Is In Line To Be Changed Next? Where Will These Two ‘Facial Hair’ Roads Go? Where Will They Take Us? Most doubt that the two roads will ever meet again, because at present it appears to old school observers like me, that they are not headed in the same direction. My experience has been that those who re-examine and change their church dress standards, have never grown closer to God and to Holiness, but moved further away. What scares many men is the question of what is behind this wide sweeping occurrence. Is there a spirit behind the push? Are the changes being made a just tip of the iceberg? “Here we have no such custom.” By making that statement, Paul pointed out in Scripture that, Godly Custom took precedence. Wearing facial hair today might be lawful to some, but it has not proven itself to be expedient. It’s been divisive. Thanks, I feel better now! You will too… after you go shave! Luke 8:42 For he had one only daughter, about twelve years of age, and she lay a dying. But as he went the people thronged him. Jarius was a desperate father! His daughter needed help and needed it NOW. Jesus is interrupted by the needs of a very sick woman. Jarius is no doubt biting his lip to keep from saying anything about the new delay. Luke 8:44 Came behind him, and touched the border of his garment: and immediately her issue of blood stanched. Luke 8:45 And Jesus said, Who touched me? When all denied, Peter and they that were with him said, Master, the multitude throng thee and press thee, and sayest thou, Who touched me? Luke 8:46 And Jesus said, Somebody hath touched me: for I perceive that virtue is gone out of me. Luke 8:47 And when the woman saw that she was not hid, she came trembling, and falling down before him, she declared unto him before all the people for what cause she had touched him, and how she was healed immediately. Luke 8:48 And he said unto her, Daughter, be of good comfort: thy faith hath made thee whole; go in peace. Luke 8:49 While he yet spake, there cometh one from the ruler of the synagogue’s house, saying to him, Thy daughter is dead; trouble not the Master. Luke 8:50 But when Jesus heard it, he answered him, saying, Fear not: believe only, and she shall be made whole. This was the worst new Jarius could ever hear. His world had just come crashing down upon him. It matters not what others say, it’s not over till Jesus says it’s over! Luke 8:51 And when he came into the house, he suffered no man to go in, save Peter, and James, and John, and the father and the mother of the maiden. Luke 8:52 And all wept, and bewailed her: but he said, Weep not; she is not dead, but sleepeth. Luke 8:53 And they laughed him to scorn, knowing that she was dead. Luke 8:54 And he put them all out, and took her by the hand, and called, saying, Maid, arise. Luke 8:55 And her spirit came again, and she arose straightway: and he commanded to give her meat. Luke 8:56 And her parents were astonished: but he charged them that they should tell no man what was done. Do You Have Bad Reports? It’s Not Over! Do You Have Fears For Lost Loved Ones? It’s easy to see others getting help and all you hear is bad news. Don’t give up until He says it’s over. The mother of the dead boy thought it was over for her son, until Jesus passed by. Then she found out it wasn’t over. Martha had watched her brother died. She had ordered him to be prepared for burial. She had mourned as they placed him in a tomb. Tears flowed as she watched them roll a stone in front of the opening. If only Jesus had and responded when she had asked him, Lazarus would still be alive. Why where her needs and her family’s need so unimportant to the Lord that He couldn’t be there for them when they needed Him. But! When Jesus came and ordered the stone rolled away, she heard Him speak three words that changed her life. “Lazarus Come Forth!” That’s all Jesus had to say for the miracle to happen. Martha found out it really wasn’t over until Jesus came. Jesus on the cross-said, “It is finished!”– He finished taking care of the redemption for sin. He shed His blood for all our sins. When He died and was buried, Peter thought it was over. He said, “I go a fishing.” He thought it was all over. The Disciples locked themselves in a room out of fear. They thought it was over. That’s when Jesus walked thru a door. Reader? Let’s Talk About Your Situation! You think things are hopeless in your life? You think it’s too late? I know it’s been a long journey waiting for your miracle… Just Hold On! He’s Ready To Walk Into Your Room Right Now! Noun: rubbish – waste material; refuse or litter. Material that is considered unimportant or valueless. Adjective: rubbish – very bad; worthless or useless. Everyone knows what rubbish is and what it looks like. I am sure that a definition accompanied by a photo is unnecessary. Who in the world would ever give rubbish a second look? Why would someone waste his or her time trying to find good in what has been demolished? Besides, rubbish always has an unpleasant odor about it that makes those close feel unclean. Men call it rubbish when they have gotten all the valve the can extract from an object. They call it rubbish when it has been damaged beyond their comfort zone. They call it rubbish when it looks hopeless and spent. Let Me Tell You An Unknown Bible Story About Rubbish. Israel had been held in captivity for 70 years. When they returned to their beloved city of Jerusalem, their hearts were crushed with despair. The walls had been broken down and most of the city burned. They had to rebuild the walls immediately. Nehemiah’s burden led the workers. The enemies and critics of Israel watched and spouted their negative opinions. Neh. 4:2 And he spake before his brethren and the army of Samaria, and said, What do these feeble Jews? will they fortify themselves? will they sacrifice? will they make an end in a day? will they revive the stones out of the heaps of the rubbish which are burned? The enemy had taken every thing of value. 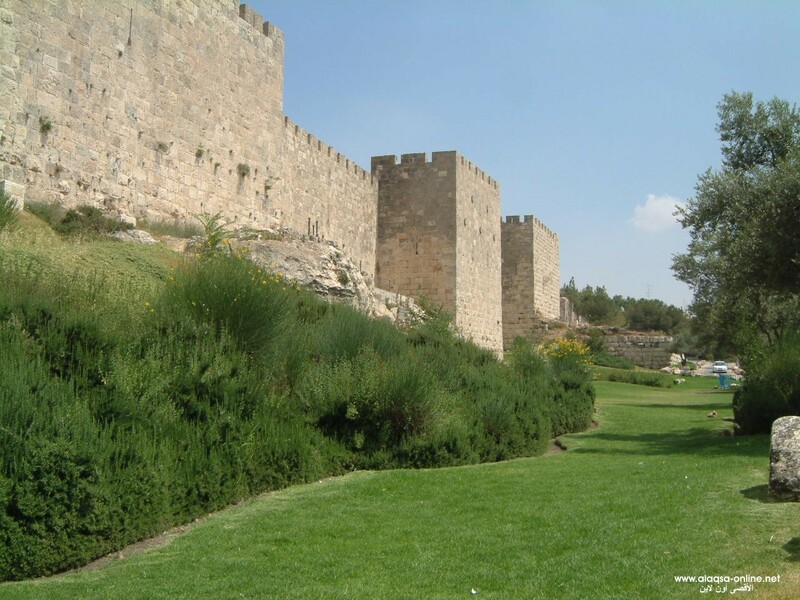 All that was left for Israel to rebuild the glorious walls of Jerusalem were heaps of burnt stones. They dug in the rubbish looking for damaged goods that they could restore. Even the enemy recognized their dilemma and the futility of the idea. Yet that is exactly what happened in Jerusalem. Workmen picked up the burnt and tarnished stones out of the rubbish heap, one by one. They no doubt did their best to wipe the stains of the fire and dirt away. Maybe they even washed them, I don’t know. One by one they cleansed each stone and applied new mortar and placed them into the wall. 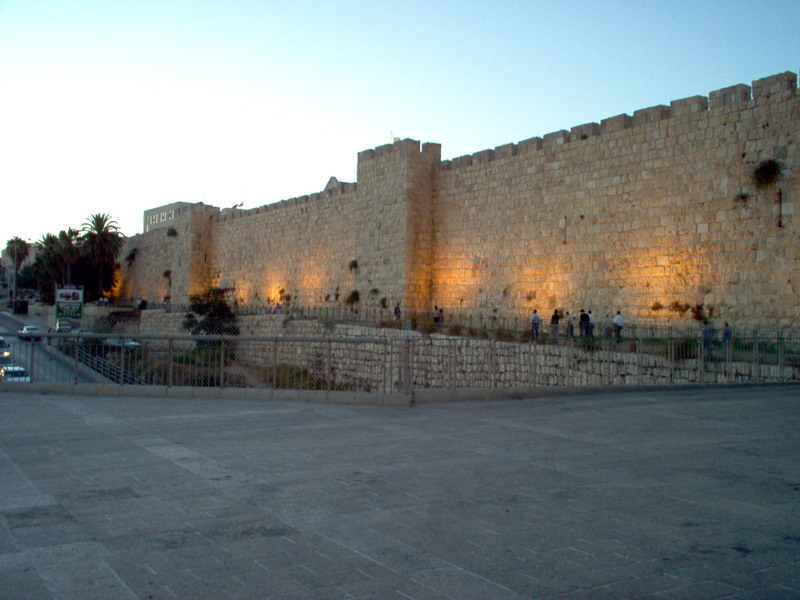 The Wall Of Jerusalem Was Repaired Using Damaged Goods. Neh. 6:15 So the wall was finished in the twenty and fifth day of the month Elul, in fifty and two days. Neh. 12:43 Also that day they offered great sacrifices, and rejoiced: for God had made them rejoice with great joy: the wives also and the children rejoiced: so that the joy of Jerusalem was heard even afar off. When they finished rebuilding the walls, a God ‘thing’ happened. God made them to get so happy that the noise of their joy was heard a long ways away. 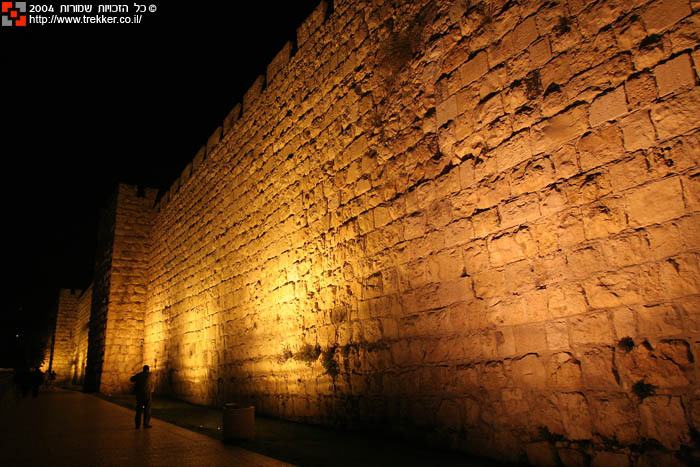 The walls of Jerusalem that still stand today, were rebuilt with damaged goods. Burnt stones from the rubbish heaps now fit perfectly in place in the wall. When you look at the walls today and take pictures of its grandeur, do you ever stop and think, “That was built with damaged goods”? I didn’t think so. What then do you think the Body of Christ is made up of? If you’re honest, you will have to say that God knows how to use, where to put, and how to preserve damaged goods. Does God Ever Use Rubbish? You Better Believe It! Every Day! Don’t Be Too Quick To Give Up On People. The Good News About Rubbish Is That God Can Still Use It For His Glory. Those are words no one wants to hear. They announce the ending of a friendship, a marriage, and quite certainly puts ones relationship with God in jeopardy. They are four of the scariest words a Christian can say. Why are they four of the scariest words any child of God can say? Take a closer look at the Word of the Lord and see if you don’t agree. 1. When A Christian Doesn’t Love His Neighbor As Himself, He Is In Trouble With God. Loving others and expressing it with compassion, is required of every Christian. 2. When God Calls You A Liar, You Are In Serious Trouble. Remember The Story Of Lazarus And The Rich Man? Luke 16:21 And desiring to be fed with the crumbs which fell from the rich man’s table: moreover the dogs came and licked his sores. Luke 16:23 And in hell he lift up his eyes, being in torments, and seeth Abraham afar off, and Lazarus in his bosom. The only reason shown here why the rich man went to hell was his willfully ignoring the needs of Lazarus. 3. When A Husband Says, “I Don’t Love You,” He’s In Trouble With God. 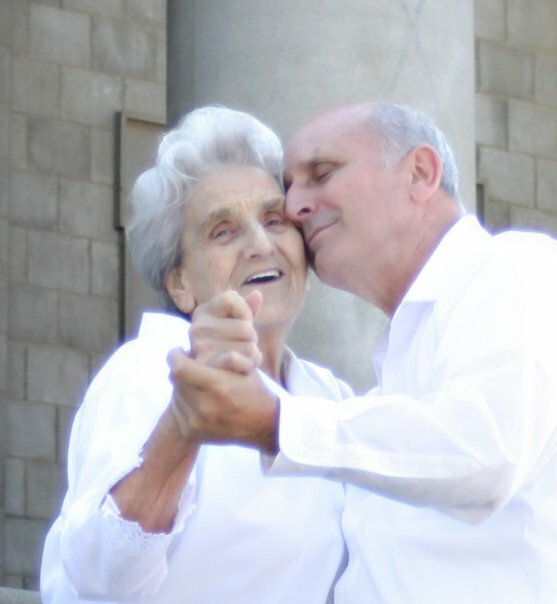 Ephesians 5:33 – Nevertheless let every one of you in particular so love his wife even as himself; and the wife see that she reverence her husband. KJV Colossians 3:19 Husbands, love your wives, and be not bitter against them. ESV Colossians 3:19 Husbands, love your wives, and do not be harsh with them. By holding grudges, not forgiving, and being bitter, a husband is guilty of disobeying Scripture. 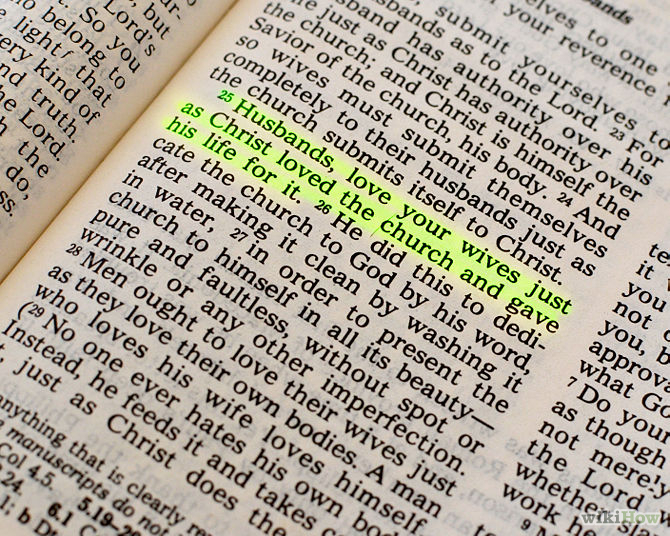 As Christ gave Himself in love for His bride, every husband is commanded to love his wife the very same way. To love your wife is an order, a commandment, and a requirement. And so is getting rid of your grudge holding and bitterness. Let’s Be More Like Him.